If you don't have an extra keyboard and monitor laying around, or if you generally prefer working on the command line, then you'll benefit from a headless Raspberry Pi setup. In this case, headless simply means that we'll set up and use the Raspberry Pi without any monitor or other GUI. This guide will walk you through the process of setting up a headless Raspberry Pi. I recommend using a Raspberry Pi Zero W or Raspberry Pi 3 since they have onboard WiFi. If you're using a different version of the Pi, you'll need to a add a Raspberry Pi WiFi USB adapter. In addition to the Pi, you'll need a power supply, SD card, and another computer. We've written a detailed guide on how to install Raspbian on your Raspberry Pi. Follow this guide to get the latest version of Raspbian on your SD card. After installing Raspbian on the card, leave the SD card in your computer. We'll do much of the remaining setup from here. This will enable SSH when the Pi is booted. If you need more details on this process, view the full guide to enable SSH on Raspbian without a screen. 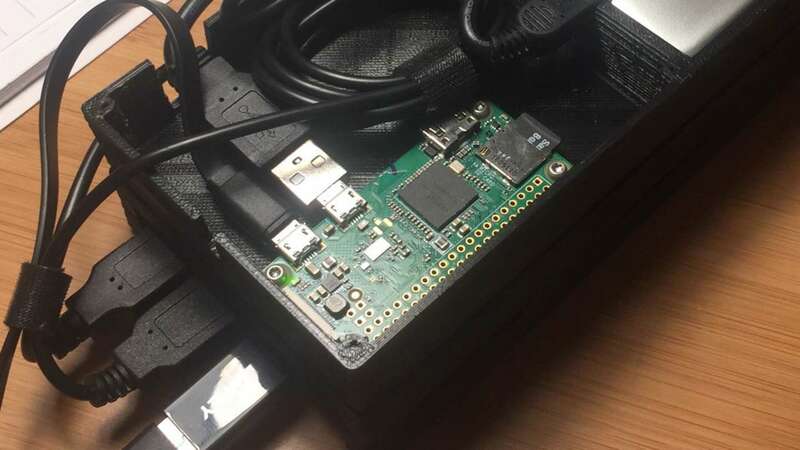 In order to SSH into your Pi, you'll need to be connected to your local network. You can, of course, use Ethernet, but if you're using the Raspberry Pi 3, you've got WiFi built-in. So let's add our WiFi configuration to the Pi so it's available when we boot. You'll need to add your wireless network name and password. Again, if you need more details on this process view the full guide on how to set up WiFi on your Raspberry Pi without Ethernet. At this point, you can access the Raspberry Pi via SSH. Remove the SD card from your computer, then put it in the Pi and boot. Now we'll need to find the IP address of the Pi. If you've only got one Pi on your local network, this is easy. Simply use ping. If you've got multiple pi's, you may need to scan the network with nmap and locate your Pi. You'll need to make sure you're using the correct subnet. Then find the address of your Pi in the output. For more information see the full guide on finding the IP address of your Raspberry Pi. Of course, you'll need to substitute your IP address. This is not a necessary step, but for many it's preferable to mount the Pi's filesystem locally rather than work directly on the Pi. We'll use sshfs to create the mount, so first install sshfs. Now create the directory where you'll place the mount. I'm going to use /Volumes/pi.